Mayawati said the BSP has decided to observe a 'black day' every month against the "murder of democracy" by the BJP and charged that the saffron victory in UP smacked of "dishonesty" and "fraud". 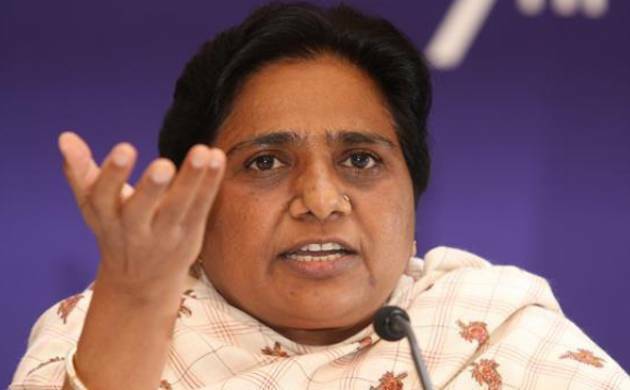 BSP chief Mayawati on Wednesday decided to move court regarding alleged tampering of EVMs in the recent concluded Assembly polls, an issue which led AAP supremo and Delhi CM Arvind Kejriwal to cry conspiracy. Kejriwal also said that before 2014 Lok Sabha polls even some BJP leaders like L K Advani were not in favour of the EVMs. The move by Mayawati and the comments by Kejriwal evoked derision from the BJP and its ally SAD.As the leaders of BSP and AAP raised their pitch in questioning the reliability of the EVMs, BJP said there are "some defects" in Mayawati and not in the Electronic Voting Machines(EVM). Kejriwal faced flak from BJP ally Akali Dal whose leader and Union Minister Harsimrat Kaur Badal advised the AAP chief to go for 'vipassana', a style of meditation, instead of casting aspersions on the reliability of the voting machines. BSP was decimated in the recent Assembly polls in UP where it finished a distant third winning 19 seats in the 403 -member House while the Aam Aadmi Party(AAP) making a debut in Punjab bagged 20 seats in the 117-member Assembly. The ruling SAD-BJP combine was trounced in Punjab. Mayawati said the BSP has decided to observe a 'black day' every month against the "murder of democracy" by the BJP and charged that the saffron victory in UP smacked of "dishonesty" and "fraud". "After we did not get a proper reply from the Election Commission on our complaint lodged with them soon after the results were announced on March 11, the party has decided to go to court in this matter so as to save (the country) from such a fraud in the future and save democracy," she said. The BSP leader was speaking to media persons in Lucknow ahead of addressing partymen at a review meeting on the party's debacle. BSP had 80 MLAs in the outgoing Assembly. "Our party has also decided to launch an agitation in Uttar Pradesh and other states to expose this fraud...the party will observe 'black day' at all the district headquarters in UP and state headquarters in other states on the 11th of every month, the date on which they murdered democracy, and the first demonstration will be on April 11," she said. The BSP leader, who had alleged largescale tampering in the EVMs soon after results were announced on March 11, said that in order to hide its "dishonest victory", BJP has now taken refuge in saying had that been the case they would have done the same in Punjab, Goa and Manipur. Kejirwal said EVM tampering may have led to AAP's poor showing in Punjab, alleging it could be part of a conspiracy to keep the party out of power in the state. The AAP chief, whose party won 20 seats in the 117-member Assembly with a vote share of 24.9 per cent, claimed that around 20 to 25 per cent of its votes may have been "transferred" to the SAD-BJP coalition. The poll result is "beyond understanding" and raises a "big question mark" on the reliability of electronic voting machines (EVMs) as political pundits across the spectrum had "predicted a landslide" for AAP, he told a press conference in Delhi. Kejriwal claimed that tampering with EVMs could have been done "selectively" in significant states like Punjab, where plans were to "keep AAP out of power". At the same time, the AAP supremo said he takes the "whole responsibility" of party's performance in the state. The BJP ridiculed Mayawati's allegations of EVM tampering and asked her to "gracefully accept the people's mandate". "When you win, EVMs are right. When you lose, EVMs are wrong. This shows that there are some defects in you (Mayawati)," Union Minister M Venkaiah Naidu told reporters. Harsimrat advised Kejriwal to go for 'vipassana' instead of casting aspersions on the reliability of EVMs. Harsimrat, the wife of SAD President Sukhbir Singh Badal, also said the Delhi chief minister may have "lost" his mental balance following AAP's poor show in Punjab. "He (Kejriwal) has lost his mental balance so he is saying things like this. He did not say anything when AAP had won 67 seats in Delhi," she told reporters in Delhi. She said the people of Punjab have thrown out the AAP and it would be better if Kejriwal focuses his energy to manage the party's affairs in Delhi. "He should do vipassana."